CloudFront hosted images, css, etc. It would be nice to have the BetterCMS Core content local. CloudFront appears to be the only option through the Nuget installation. if I clearly understood the problem, you would like to modify CMS' .js / .css / image files? 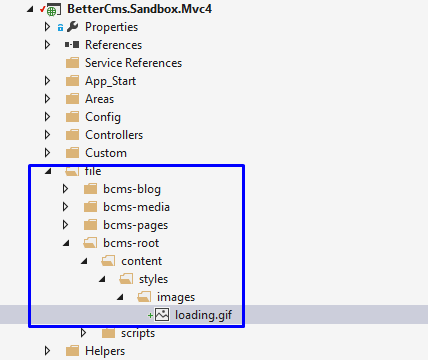 BetterCms.Core hasn't any js / css files. These files are builded into Module.Root / Module.Pages / other modules DLL files as embedded resources.